From world's greatest rockband to potatoes. 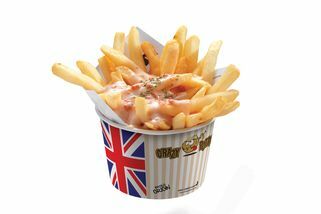 British Origins! No.100, Jalan 4/91, Taman Shamelin Perkasa, 56100 Kuala Lumpur. Part of the Crazy Potato chain. Take the escalator up to level 4 and turn left. The shop is opposite the gym. 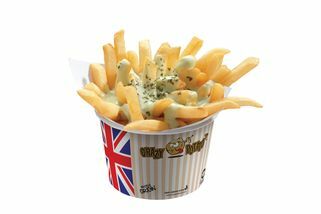 Fancy some London Chips topped with Wasabi Mayo? How about some funky Strawberry Mayo? That’s exactly what Crazy Potato offers. 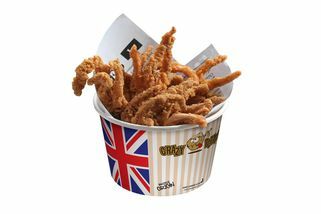 Thick potato chips deep-fried to perfection and topped with some of the most bizarre yet delectable toppings. You’d be hard-pressed to choose a specific topping as all of them seem enticing. 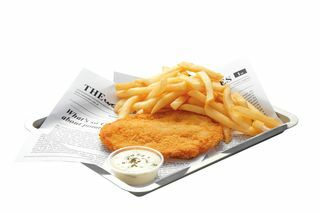 But fret not, you can simply ask for a sample before deciding which topping suits you best. 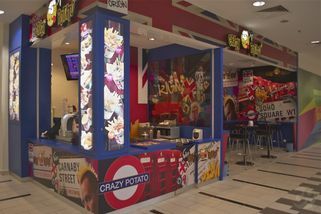 Crazy potato operates as a made-to-order style kiosk, so you know you’ll always get your chips fresh and hot. 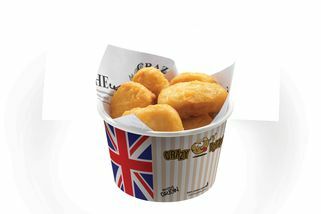 Although there is a 3 minute wait from when you start ordering, once your order arrives, all is forgotten as you savour the taste of crisp potato chips and appreciate its British origins. 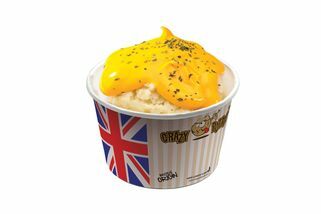 Apart from chips, Crazy Potato also offers London Fish & Chips, Potato Skinhead, The British Bulldog, Tempura Chicken Nuggets, and the Queen’s Mashed Potato with either Cheese or Chicken Gravy. Crazy Potato @ 1 Shamelin has no review yet. Submit a review!